(Melissa Gabler) Yesterday I was praying over a situation for which I have no answers and can do nothing about. As soon as I prayed I heard, “Now, let go of all of your ideas of how this thing needs to be worked out and let Me have it.” As we head into Christmas and a new year may we lay down every weight, worry, and preconceived idea of what the will of God should look like in our current situations, and leave it in the capable hands of the One Whose birth we are celebrating! Have a very Merry Christmas and may you find peace unspeakable in the decision to trust the One who already set us free. Kathy, Melissa and I invite you to join us live on Christmas Eve at 8:15pm Central Time for our annual family Christmas Eve Communion. We will be streaming live from our living room on Marty Gabler’s Facebook page reading the Word, singing Christmas songs, worshipping and taking communion. Join us live on Christmas Eve. 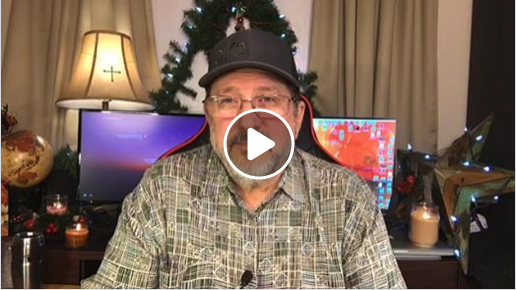 This entry was posted on December 22, 2018 by Marty Gabler. It was filed under Uncategorized and was tagged with 1 Thessalonians 4:17, Advent, angels singing, anticipation, Apostle, Barbara Yoder, Bethel Church, Bible, Bill Johnson, Body of Christ, celebrate, CFNI, charismatic, Christmas, Christmas Eve, Chuck Pierce, church, Cindy Jacobs, circumstances, comfort, Daily Discovery, Damon Thompson, destiny, dreams, Dutch Sheets, elderly, encouragement, expectation, faith, father, Five-Fold, FMCI, future, gifts, gifts of the Spirit, god speaks, grace, Haggin, happy, healing, history, Holy Spirit, hope, Identity, intercession, Isaiah 9:7, Israel, issues, Jentezen Franklin, Jeremiah 29:11, Jesus, Jim Goll, Jim Hodges, John 3:16, John Eckhart, John Kelly, Joseph Prince, Joyce Meyer, Kathy Gabler, Kim Clement, Kingdom of God, Lakewood, Lance Wallnau, life, Lindsey, manger, manifestation, Marty Gabler, Matthew 6:10, Matthew 6:33, Melissa Gabler, mercy, Myles Munroe, obstacles, ORU, Osteen, power of god, prayer, problems, prophecy, prophesy, prophet, prophetic, prosperity, purpose, Redding, rejoice, Rick Joyner, Rick Pino, righteousness, salvation, Savior, SEEC Ministries, sentiment, shepherds, sons of God, spiritual warfare, success, TD Jakes, Texas, Tony Evans, transforming power, victorious, victory, visions, Will of God, wisdom, word of god.